The Davos Klosters ski area is varied and incorporates five mountains on both sides of a valley. 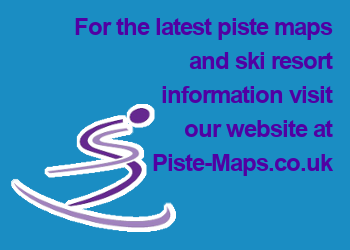 Skiers of all levels will find plenty of terrain to enjoy on nearly 200 miles of pistes as well as acres of challenging off-piste. Although the skiing is dispersed across the different mountains, regular free ski buses link the two resorts and five mountains – although it’s often standing room only. It’s also worth keeping a bus and train timetable in your pocket to avoid unnecessary waiting time. Davos Klosters’ largest and busiest mountain, featuring mostly wide, blue and red pistes that are ideal for carving, as well as some idyllic tree-lined runs. It's accessed by the Parsennbahn from Davos Platz and the Gotschnabahn from Klosters Platz, but, the only piste back into Davos Dorf is a black run that gets crowded, icy and bumped out by the end of the day, so most skiers take the gondola down. Located on the same side of the valley and accessed from Klosters Dorf, is an ideal mountain for beginners and intermediates. On the other side of the valley, Jakobshorn, reached by gondola from Davos Platz, is popular with snowboarders thanks to its terrain park and gentle, cruising terrain. Rinerhorn, reached by bus from Davos Dorf, is good for families, being quiet with gentle runs, but also rated by locals for off-piste; and Pischa, also reached by bus from Davos and Klosters, is billed as the freeriding mountain with only half the runs groomed. Rinerhorn and Pischa are the quietest – great for escaping the crowds, but serviced predominantly by T-bar lifts. The highlight has to be the network of long reds from Weissfluhjoch down to Küblis and into Klosters. These are some of Europe’s longest red pistes and the seven-mile number 22 red that winds along the back of Parsenn before dropping through woods and meadows into the hamlet of Küblis is superb. Stop for a rest in a deckchair outside one of the “Schwendi huts” – atmospheric mountain restaurants – along the way. In addition to good intermediate skiing, there’s also some more challenging terrain for advanced skiers on Parsenn such as the two black pistes into Wolfgang (from where you can take a train to Klosters). There are also entertaining off-piste itineraries (routes that are marked but not groomed or patrolled) such as “Wang”, the open, off-piste face of the Gotschnagrat area. Come here for gentle, quiet nursery slopes as well as long, confidence-building blues and reds for tentative intermediates. You might catch a glimpse of Klosters regular Prince Charles here, whose favourite off-piste run is rumoured to be on the mountain. Bolgen is a sizeable beginner’s area at the base of Jackobshorn, easily accessed from Davos Platz. From here, you can progress to the blues higher up the mountain. Intermediate and advanced skiers will find some fairly steep red pistes and a wonderful, relatively easy off-piste itinerary that drops into the hamlet of Mühle or all the way to the picturesque village of Sertig. Rinerhorn is popular with families for its child-friendly slopes and restaurants. However, it’s also rated by locals for the black piste number 10, which descends over a 1000m vertical, and its wonderful off-piste routes, which remain much quieter than those on other mountains.